Antonio Aguiar, Axsess Group President, has over 25 years of energy industry experience. Mr. Aguiar’s experience spans wholesale and retail markets in natural gas and electricity in both regulated and unregulated environments. He has been an integral part of managing significant natural gas resource portfolios for two New England gas utilities and successfully managing the transition from a regulated procurement environment to a competitive one. Prior to forming Axsess Group, Mr. Aguiar was involved in the development of three other energy startup companies and is experienced in managing the diverse demands placed on a competitive entity. Having served as the President of EnergyEXPRESS, he has operated on the front lines of energy deregulation and successfully grew the company to a competitive position in New England. Mr. Aguiar served on the Advisory Board of Enermetrix, an early leader in the energy information and technology space. Mr. Aguiar has consulted for various wholesale and retail clients assisting in strategy development, energy procurement and execution. Mr. Aguiar holds a B.S. in Mechanical Engineering from the University of Massachusetts at Amherst, an M.B.A. from the University of Rhode Island and an M.S. in Finance from Bentley College. 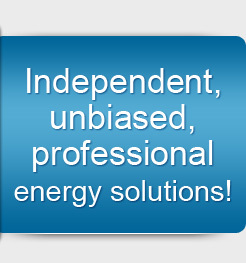 Mr. Langdon is a twenty two year energy industry veteran, Axsess Group principal and a skilled customer advocate. He assists organizations with a wide range of energy related issues: supplier negotiations, energy procurement, energy services, tariff analysis, renewable energy, wholesale and retail energy markets and assessment of energy information software. Mr. Langdon’s focus is helping clients understand and manage the options available in the ever-changing energy industry. His expertise and broad energy industry experience allows him to successfully consult on innovative and cost effective solutions for energy buyers at Fortune 500 companies, university systems, small and large commercial and industrial companies and in the public sector. Mr. Langdon is very familiar with the challenges that face energy buyers and service providers in an environment of deregulation, transition and volatility.Prior to joining Axsess, Mr. Langdon held positions as: national Director of Business Development for Apogee Interactive, a firm recognized for its innovative demand response and e-learning applications for the utility industry; Account Manager for ABB Energy Interactive, responsible for the management of all utility customers and sales activities in the northeastern U.S. and eastern Canada; Direct and Indirect Sales Manager for Usource, responsible for the start up growth of an on-line energy exchange; Sales Executive with EnergyEXPRESS, a competitive natural gas and electricity supplier; Energy Auditor with RISE Engineering overseeing Demand Side Management projects. Mr. Langdon holds a Bachelor of Science degree in Business Administration from the Whittemore School of Business and Economics at the University of New Hampshire. Mr. Sacco has over 38 years of energy industry experience with demonstrated leadership spanning gas supply, regulatory affairs, planning, engineering and operations. Mr. Sacco currently is involved in energy consulting in which he provides active participation in the strategy and decision making process in many gas supply, contracting and related issues for clients. Mr. Sacco retired from Bay State Gas Company as a Vice President of Gas Supply. He joined Bay State Gas as Manager of Supply Planning and held various positions in the gas supply area until his appointment to Vice President. Throughout his career Mr. Sacco has been involved in many diverse energy supply projects. Some examples are: the Portland Pipeline Project, Boundary Gas Project, Iroquois Pipeline Project, MassPower Cogen Power Plant, Wells LNG project. Mr. Sacco holds a B.S. in Industrial Engineering from Northeastern University and has attended the Advanced Management Course at Northeastern. His industry affiliations include the American Gas Association, Northeast Gas Association, Society of Gas Operators and Guild of Gas Managers. Beth S. Greenblatt, Managing Director of Beacon Integrated Solutions, has over twenty-five years of business, marketing and management experience primarily in the energy services industry. Ms. Greenblatt has held various senior strategic management and corporate communications positions in regulated and unregulated energy firms, a management consulting firm, several distinguished national energy services companies and the Gas Research Institute, a national non-profit energy research and development organization. Ms. Greenblatt’s professional background includes a decade serving in senior management roles at Boston Gas Company (now known as KeySpan Energy Delivery) in the areas of energy management, customer research and market planning, where she was responsible for the development, implementation and evaluation of demand-side management programs, oversight of the Company’s research activities, and diverse business planning and analysis functions. Ms. Greenblatt was directly involved in dozens of key regulatory proceedings, including supporting the development of the Company’s long-range demand forecast and supply plan. She has testified before various regulatory authorities in New England and nationally. While at Noresco, Ms. Greenblatt was actively involved in helping clients achieve energy savings and produce high performance buildings through the energy savings performance-contracting program. Ms. Greenblatt also served as the Corporate Communications Officer for a management services firm that provides profit improvement services to small and mid-size businesses through hands-on implementation programs. Ms. Greenblatt holds a dual Bachelors of Arts degree in Political Science and Mathematics from Boston University, Massachusetts, and is a Certified Energy Auditor in the Commonwealth of Massachusetts.